Managing allergies at summer camp differs from regular school because the group leaders may be on rotation, the day schedule is often less rigid, the activities may be spread out over a broader geographical area, and the parents are not as well acquainted with the counsellors. Instead of sitting at a desk all day with the same teacher and the same group of peers, kids are engaging in more dynamic activities and generally being more carefree and fun. When I was a kid I wasn't too concerned about my allergies when I went away to camp. As a middle-grader, your focus is more about social stigmas and bullying than monitoring where your food is prepared because for the most part your caregivers take care of that for you. I found myself more worried about handing off my fanny pack (which the camp made me wear) to the counsellor and weaving enough friendship bracelets to hide my Medic Alert bracelet. Most of the kids in my camp brought their own lunch every day and the only food-based events we had were the semi-regular corn-boils and the occasional cooking class, so it was pretty easy for me to manage what and when I was eating. I did, however, get in trouble by the nurses when my brother and I mixed up our Epi Pens, since they would not have been able to administer one to either of us if it did not have the right name on it. From my experience there are a few key steps to follow to help your kids stay safe and ease your worry too. There was nothing I loathed more as a kid than my fanny pack or "pouch" as my mom called it. I had a few in rotation, most of them fluorescent (it was the 90's), and I tried to get out of wearing all of them. Our summer camp mandated any allergic kids to wear one so that they could carry their Epi Pen and Benadryl at all times. So although I put up a fuss it really was in my best interest. If the camp doesn't supply one then let your kids pick one that they really like, choose a cool mini backpack instead, or pick up a more discrete Epi Pen carrier on Etsy. You're probably used to packing school lunches and snacks, and the same rule applies to summer camp. Pack all lunches, drinks, and snacks so that your kids are prepared for a whole day of play. Label everything clearly with their name, age, group name (if applicable), and what they are allergic to. If they are not yet old enough to manage their allergies on their own in terms of knowing when to accept food, asking questions, and reading labels, spend some extra time teaching them not to accept outside food at all. Reach out ahead of time to camp staff to learn about their standard practices for dealing with anaphylaxis. Chances are they will have existing rules in place and will want lists of what the kids are allergic to and a spare Epi Pen to keep in the office. Hopefully they'll be receptive to discussion and conversation about how to best manage their needs. If they don't have any rules in place this is your opportunity to set the stage. Explain the severity of the allergies, provide literature or links to more information, and ensure they educate the counselors about how to deal with your child's specific needs, avoiding cross-contamination, and ensuring social inclusion. Since allergies are so common these days it's likely that there will be other kids in the same camp with allergies. Ask to have them in the same group so that they can have a buddy to eat with at lunch and snack times. Or better yet, ask for them to be in the same group as an existing friend or sibling. I know that when I was little my brother acted as my guardian in so many cases, inspecting food, keeping a watchful eye, and making sure I wasn't alone at meal times. 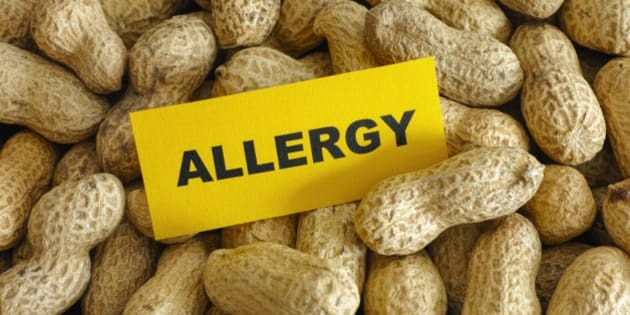 To learn more about how to deal with food allergies, for amazing recipes, and allergy-makeover cookbook reviews, visit my site at everydayallergenfree.com.